Mangaluru, Oct 22, 2017: Speaking to media in Mangaluru on October 21, Sarturday, Karnataka Higher Education Minister Basavaraja Rayareddy said that Central Government has not responded positively to repeated requests by the state government to grant University Grants Commission (UGC) recognition to Karnataka State Open University (KSOU), Mysuru. 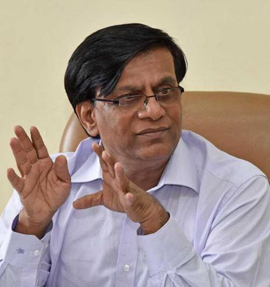 He said that the KSOU recognition was scrapped following irregularities by the then Vice Chancellor and the Administrative committee of KSOU. The KSOU had started engineering and paramedical courses, in violation of the UGC guidelines, that too, outside the state. The KSOU recognition remains scrapped since 2013-14. The state government has adhered to all conditions of the UGC and has made amendments to the relevant Act, limiting the jurisdiction of the KSOU only to the state, as per UGC directions. But, there is no positive response from the UGC. Now, the future of three lakh students hangs in balance, the minister said. False accusations : Rayareddy further said that the allegations saying the state government has done nothing to obtain the recognition by the UGC, is false. The Minister said he has met Union HRD minister Prakash Javadekar thrice requesting to provide recognition to KSOU. "The Chief Minister has also written to the Prime Minister in this regard. But the UGC has not granted the recognition so far. KSOU will not be shut down. The state government will convince the central government to allow the KSOU to function" Rayareddy categorically stated. "Meanwhile, a committee has also been formed by the State Government to look into the degradation of the open university. The CM too, has plans to meet Javadekar. If the state government’s measures to convince the Central government do not bear fruits, a legal battle with the Centre is inevitable," Rayareddy said. VTU funds : The Income Tax department has seized Rs 441 crore from Visvesvaraya Technological University. The money comprised of the fee deposited by the students. The state government has made requests to the Central Finance Minister towards the recovery of funds. But, he has not responded positively. The VTU funding of Rs 650 crore has now been reduced to Rs 580 crore and the technical university is now short of funds. As per Income Tax Section 12 (A), the university was required to obtain an exemption from the Income Tax Department. Also, after availing the exemption, the funds needs to be utilised within five years. But, the VTU had failed to do the same and had deposited the funds in bank. This was an outcome of the wrong decision by the VTU Administration. To a query, the higher education minister said that the Bangalore and Mysore Universities do not have the Vice Chancellors for the last eight and ten months respectively. The names recommended by the state government for the post of the Vice Chancellors, are yet to be accepted by the Governor. The search committee appointed by the government, comprising nominees from the state government, governor, UGC and the Syndicate, has not selected any ineligible. The candidates fit high standards and do not have any allegations on them, Rayareddy said.